For something a little different today, here are a pair of old event covers. 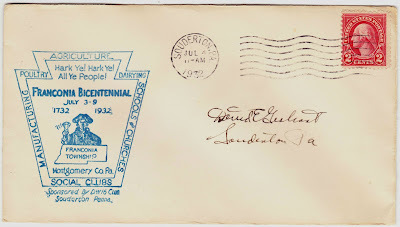 An event cover is a decorated, stamped and canceled envelope that is typically created to commemorate a special event or anniversary. 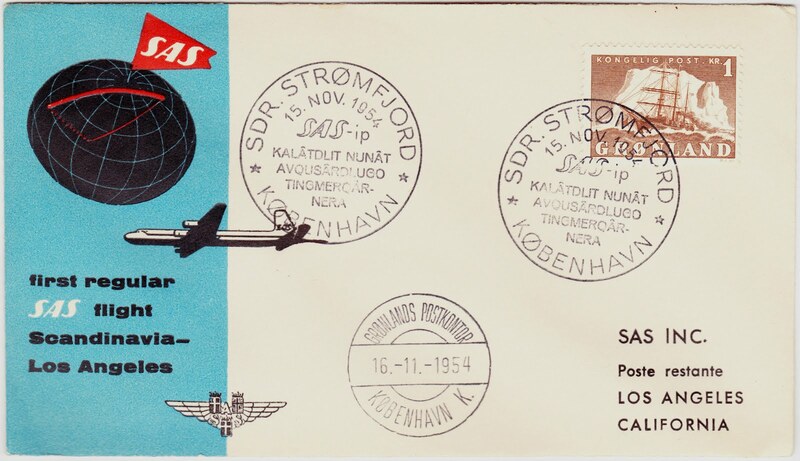 The first event cover, shown above, marks the first regular SAS flight from Scandinavia to Los Angeles in November 1954. SAS is Scandinavian Airlines, which was founded in 1946 and is the largest airline in Denmark, Norway and Sweden. The envelope features a one-krone stamp depicting Grønland (the Danish word for Greenland). 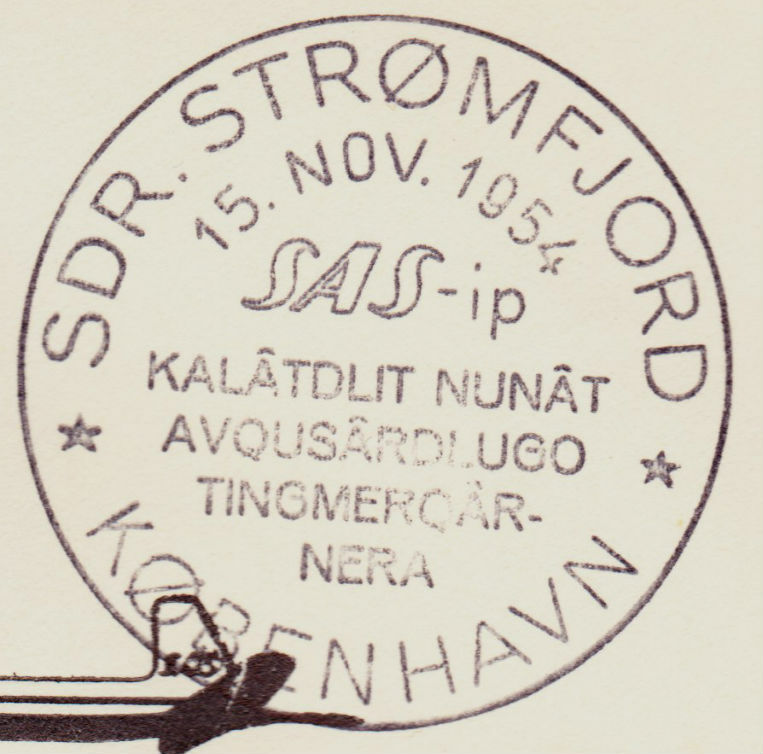 And the postmarks refer to Sdr. Strømfjord in Greenland and København. I'm not sure what language that is, but my best guess is Greenlandic, an Eskimo–Aleut language. 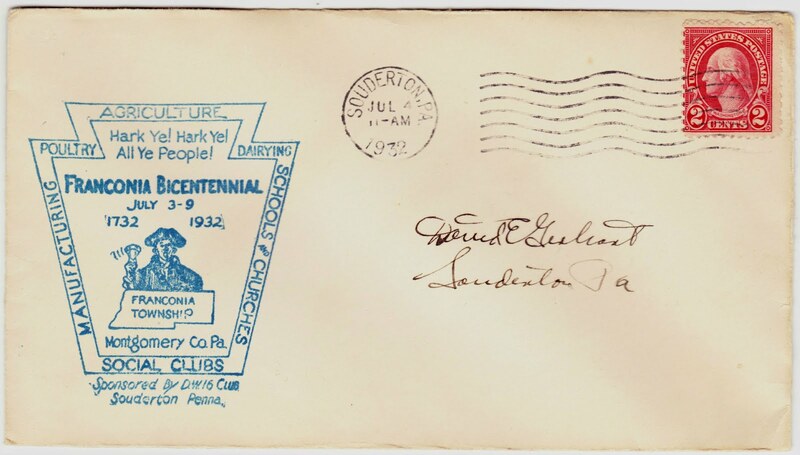 Today's second event cover was postmarked July 4, 1932, in Souderton, Pennsylvania. 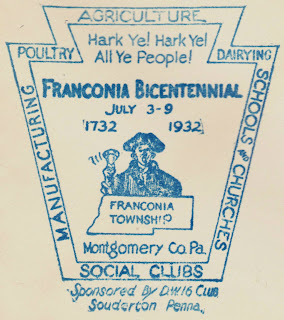 Interestingly, the township's own website now claims that it was founded in 1731, not 1732. 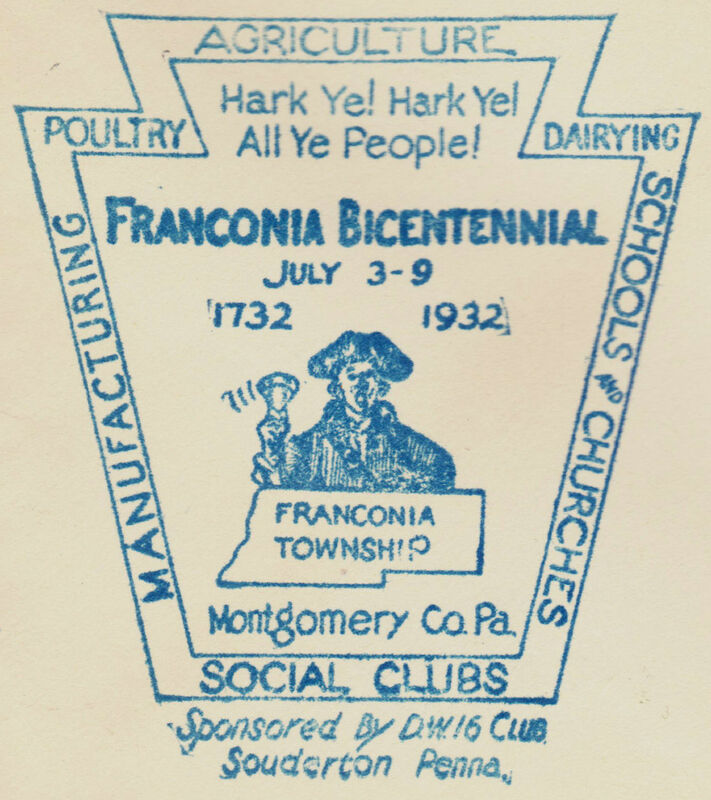 Meanwhile, printed in the border of the blue stamp are: Agriculture, Dairying, Schools and Churches, Social Clubs, Manufacturing and Poultry. 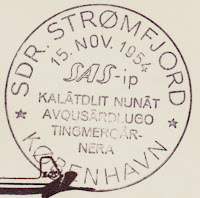 At the bottom of the stamp is "Sponsored By D.W.16 Club. Souderton Penna."